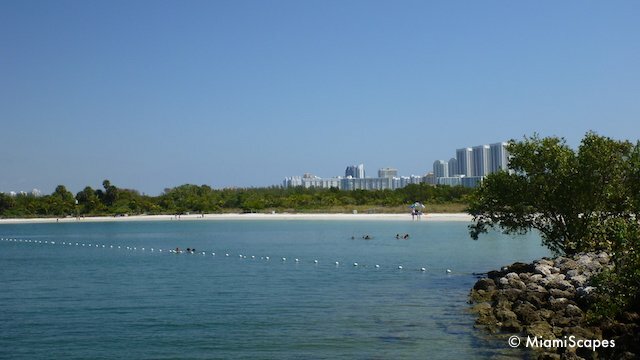 Oleta River State Park is a gem tucked in the middle of cosmopolitan Miami, in fact, it's Florida's largest city park. 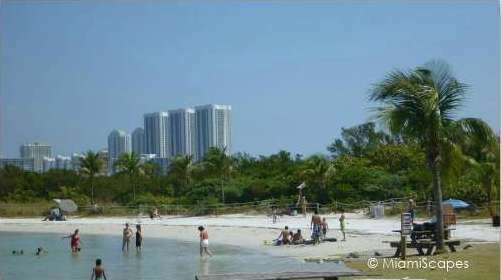 Located between the banks of the river and the Intracoastal Waterway, just a stone-throw away from the high-rises and hectic pace of the city, this little oasis has much to offer in terms of recreational facilities, whether swimming or relaxing on the beach, paddling along the river and the mangrove forests, and even biking on the park's challenging 10-mile network of off-road trails. 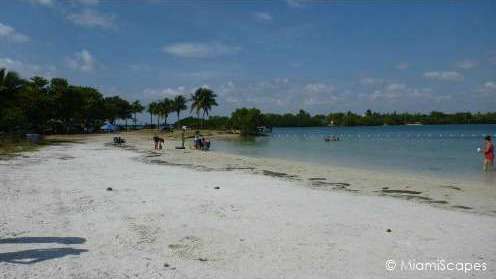 The park's unique setting and location provides a very varied landscape from sandy beaches to mangrove forests and nature trails, which together provide an amazing ecosystem for plants and wildlife as well as outdoor fun. This little known park, (surprising enough not many of our local friends knew about it...) can really pack it in the outdoor activities and recreation department and it even offers overnight stays in rustic cabins that for the adventure-minded nature lovers out there can even save you some dollars on your accomodation budget. 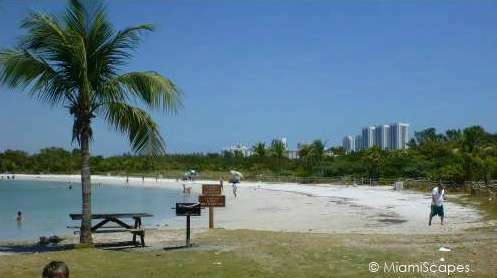 From I-95 (North or South) take 826 east, follow the signs to the beach. Park entrance is about four miles on the right. 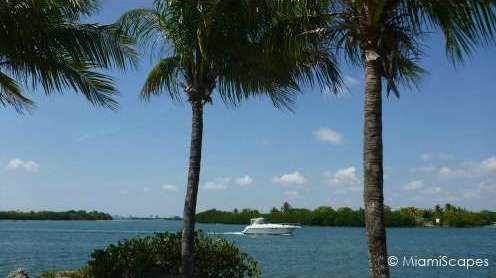 From the Florida Turnpike coming from Miami, follow the signs for 826 East/Beaches. 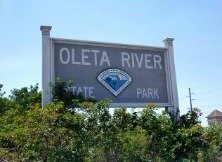 Check out Oleta River State Park location on the Miami Beaches Map here. Parking: Plentiful, but tight on weekends. 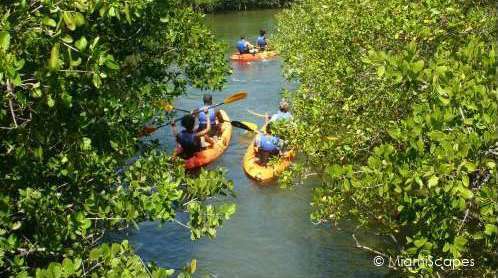 Entrance Fee: Charges are similar to other State Parks and based on number of people in the car. 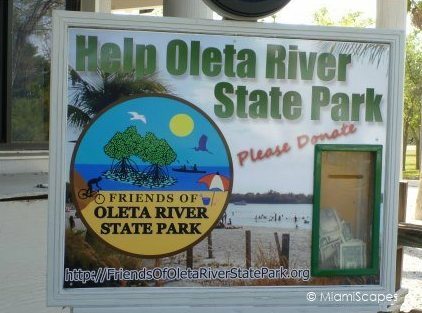 And please remember to support our State Parks!